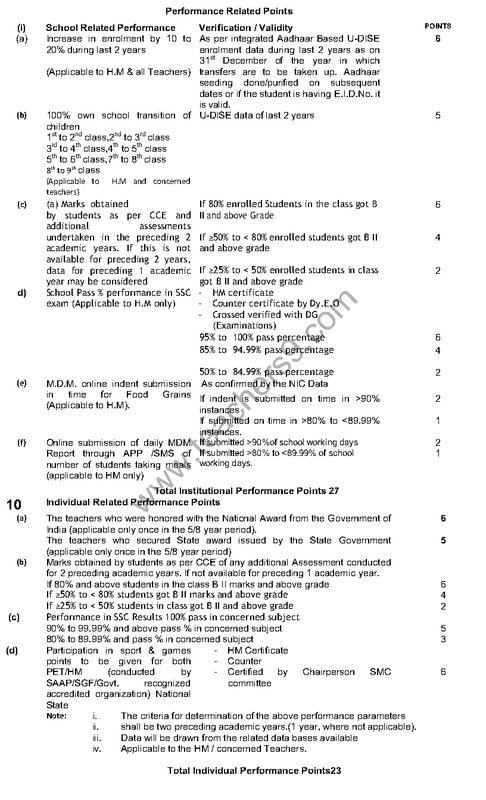 A.P Govt. 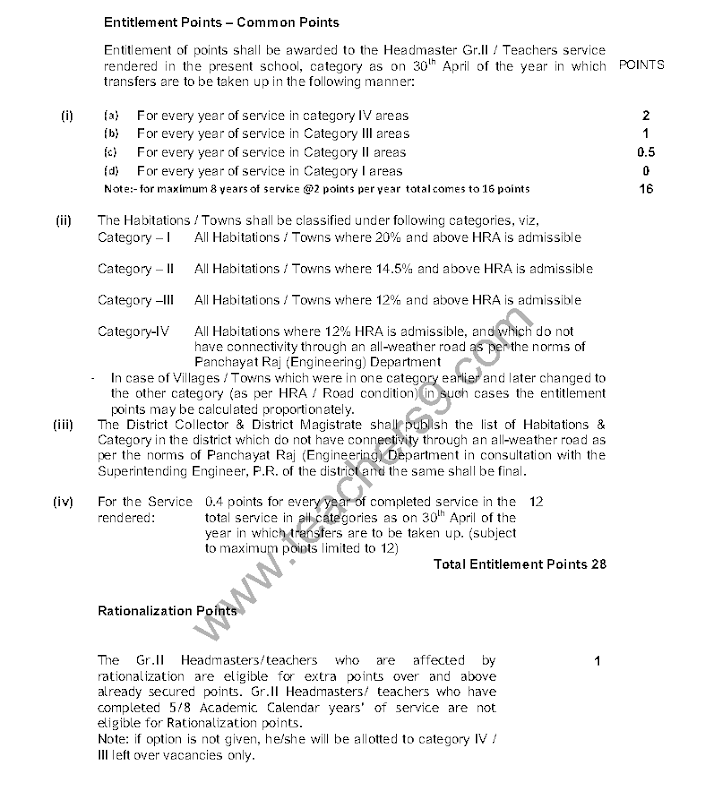 has released G.O No 31 regarding teachers transfers guidelines and transfers points allotment. 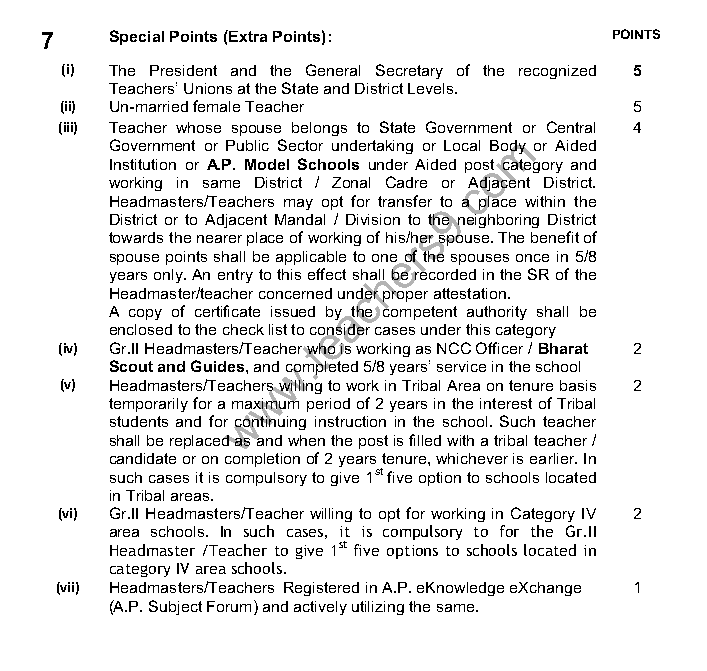 As per this G O No 31 teachers performance points, entitlement points guidelines are as follows.